Wash, peel, and grate the radishes on the large holes of a box grater. 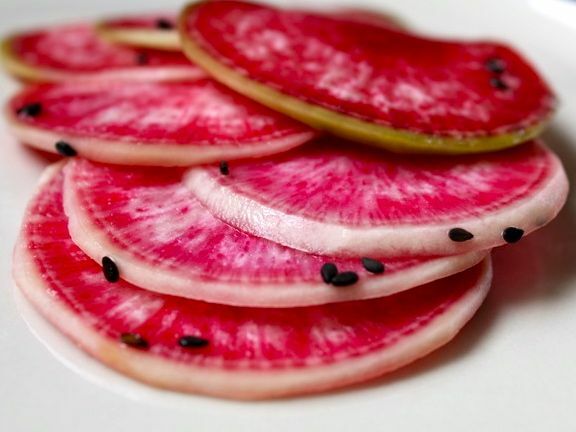 Alternatively, slice the radishes into thin rings with a sharp knife or a mandoline. Put the grated radishes in a bowl and sprinkle with the vinegar. Toss gently, then drizzle with the oil and toss again. Season with salt to taste, garnish with the sesame seeds, and serve.